Have you ever thought about how teachers should determine a student’s grade? Some people think that test scores are more important than homework grades, while others disagree and think homework should be more important than tests. Many high schools throughout Southern Minnesota have a grading system that makes homework just as important in a student’s grade as tests and quizzes. This means that a student’s final grade is determined by 50% of their homework grades and 50% of their test and quiz grades, also known as 50/50. New Ulm High School is different from other schools regarding the grading scale. 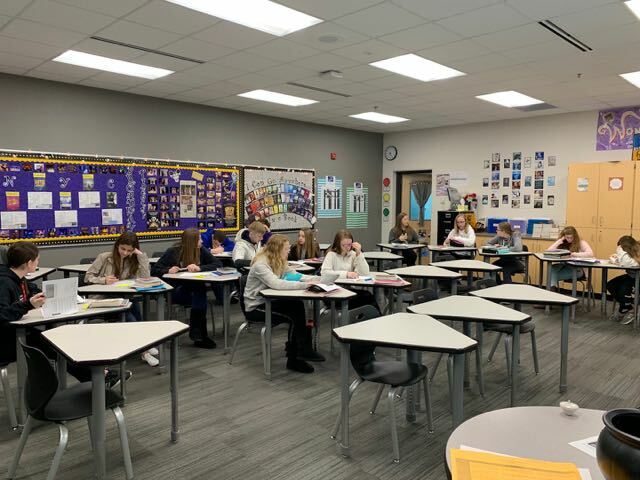 Some schools in the area, such as New Ulm Cathedral, Minnesota Valley Lutheran and St. Peter High School, have grading scales determined by teacher preference in each class. New Ulm High School has a grading policy set by the administration that is used throughout the school. In past years, New Ulm High School had homework and tests equally weighted in the grade book. This meant that in order to pass the class, students were required to do their homework, which was 50% of their grade. Some teachers said they found that more students did their homework when the system was 50/50, noting that with the current policy of 80/20 students have less of an incentive to do their homework, since it is only worth 20 percent of the grade. 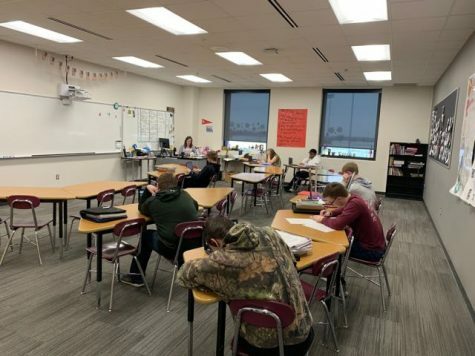 The 80/20 grading scale has had such a dramatic effect on the student body at New Ulm High School that even the teachers are talking about their concerns of students grades. Mrs. Thursby, a teacher at New Ulm High School, said, “I have never seen grades so low. At the last three-week grade posting, there were 36 pages of students on the deficiency list.” Thursby told us that this was the longest list she has ever seen. With these statistics, will New Ulm High School continue their grading scale of 80/20? Students studying hard for their upcoming test in Mrs. Gordon’s history class.